Make The Pants That EVERYONE Is Wearing This Summer! 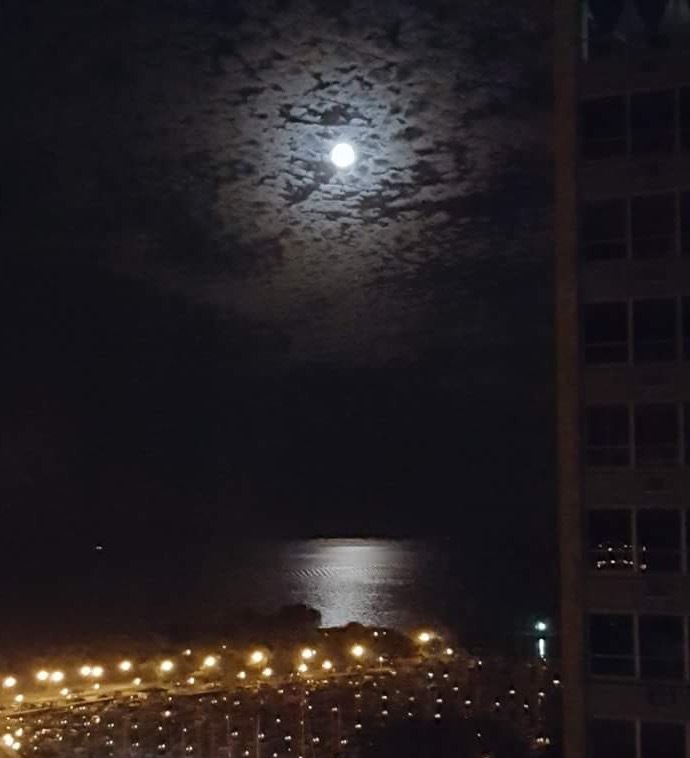 Well, at least everyone I see here in Chicago. A little over a month ago, Lisa of Paprika Patterns asked if I would test her new pant pattern. Testing patterns for Sew News over the last 3 years has been a delight and I always enjoy giving a new pattern a try. The pattern is the Amber Trousers, and it offers 2 options, a wide leg pant which I made, or a narrow leg. Both feature a yoke with a soft center front "v"
After I made up the pants, no joke, everywhere I went, I saw someone wearing a version of this pant. As I said, the pants feature a front and back yoke. and a side seam zipper. The pattern calls for an invisible zipper. I didn't have a navy invisible zipper on hand, so I used the metal zipper and made it an accent piece. The pants are so comfortable to wear. And they look great from the back too! I ran out of fabric, so I lined the yoke in a print. Why not?!! The pants I'm wearing are from the test version of the pattern. Not bad at all for a test run. The only issue I had with the pattern was the length of the pants. I'm 5'6" tall and there was not enough length in the leg for a hem. No problem, I just made a facing and all was good. If you do make up the pants, just be sure to check the length of the pant leg to be sure that you'll have enough for the length that you desire. Now for the good news!!!! Lisa has given me a pattern to give away, YEA!!! If you would like a chance to win a free pattern and make your own pair of Amber pants...and be in the "in crowd" here in Chicago :), then leave a message on this post. I'll announce the winner on Monday, July 4, 2016. So, the suit that made me cry and want to throw my sewing machine off the side of a mountain is now complete...and I love it! 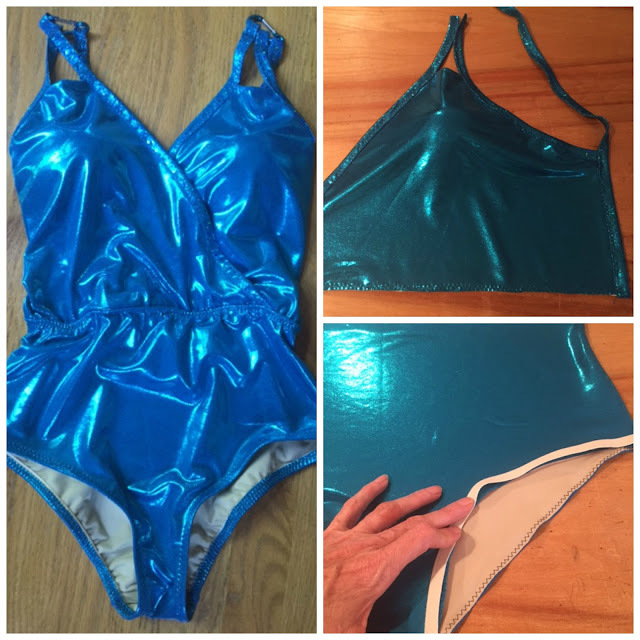 My final post for the Papercut Patterns Soma Swimsuit is up on the Sew News blog and you can find it HERE. I took A LOT of liberties with the pattern. 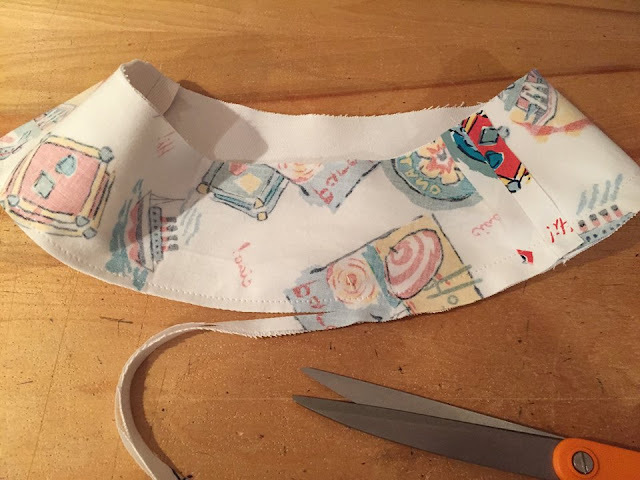 With all of the sew alongs that I've done for Sew News, I always try and think about the sewist who doesn't have a store near by, and if they do, maybe one that's rather lacking in supplies. The pattern calls for the bodice of the swimsuit to be finished with foldover elastic. I used foldover elastic for the suit that I made for the magazine, but one issue is what if you can't find elastic that will match your fabric, like in the case of the metallic fabric that I used for this suit. The pattern also calls for a special ring for the straps. Here again, this may not be readily available and if you don't want to order your supplies, what can you do? 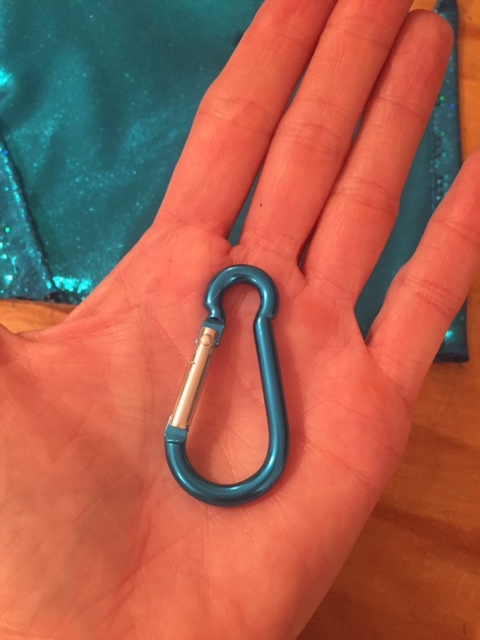 I used a ring I found at the hardware store for the first suit that I made and for this suit, I was especially lucky and found this great hook that perfectly matched my fabric. I was ready to give up, but while I was in line at my chain fabric store, I just happened to notice these little flashlights with the hook attached. Score!!! I look at it this way, it's a swimsuit, so why not take a few liberties?!! Pictures of me in the suit are coming up this Friday, along with a coverup. You may....or may not!!! want to pop back for that :) Actually, I REALLY like the suit and it looks fabulous on. Can't wait to actually jump in the water. Be sure to pop over to Papercut Patterns as they have a number of new patterns up on their site that really look like winners. I especially like the Bowline Sweater. With whatever project you are working on, just remember, just because the pattern recommends a certain product, it doesn't mean that you can't think outside the box and come up with an alternative. Sometimes the alternative is a whole lot more fun! 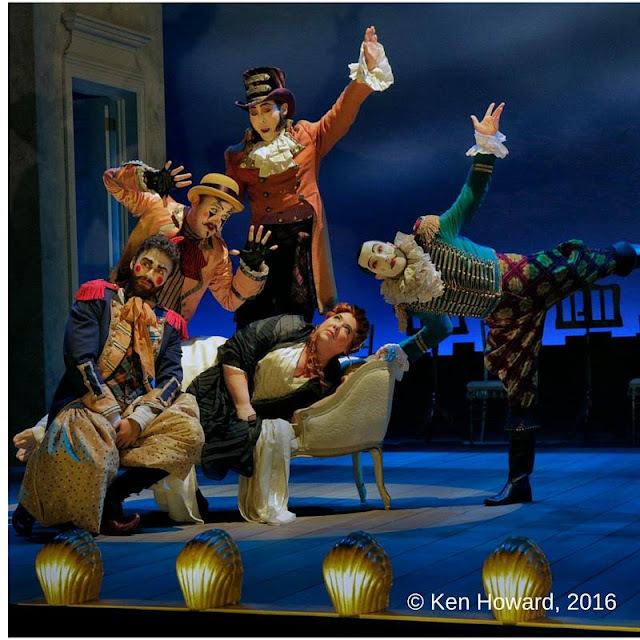 For those of you who have followed the blog for some time, you know that I have a background in costume designing and that I LOVE the opera. 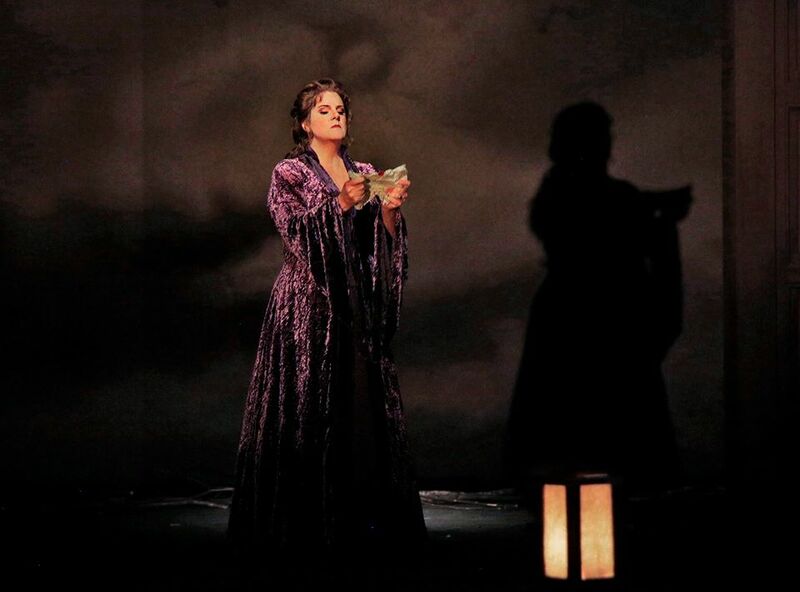 A number years ago, Lyric Opera in Chicago did a production of Dialogues of the Carmelites. It's the story of the French Revolution and the execution of the Carmelite nuns. The final scene was so real, and so shocking. We both walked out with tear stained cheeks. Three years ago, I saw that Opera Theater St. Louis was doing Dialogue of The Carmelites as part of their opera festival. 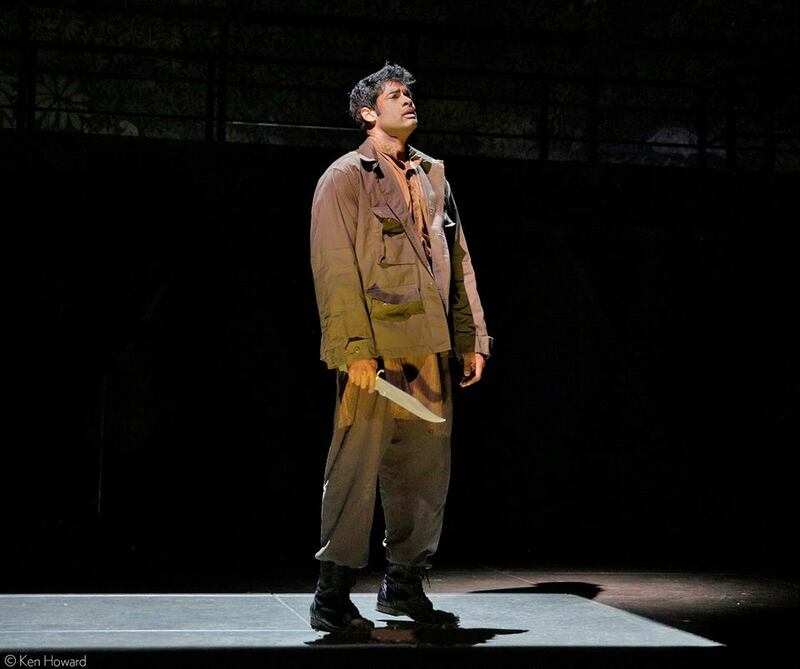 I HAD to see this opera once more. So we made the trip down and the festival has become summer tradition for us. This year's festival was particularly wonderful. 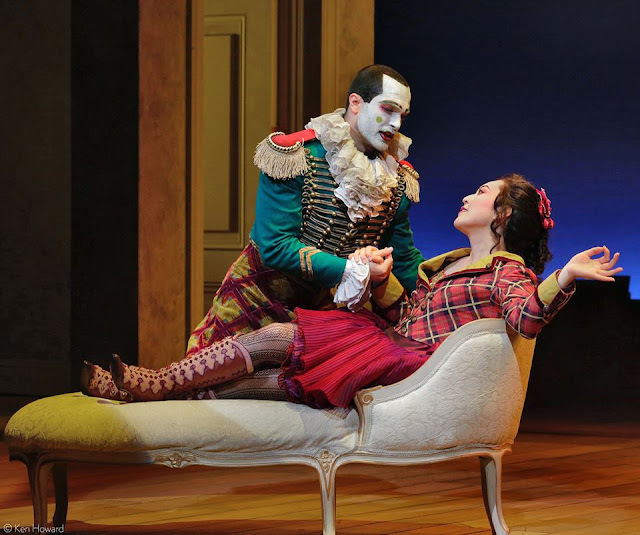 Even if you don't have an interest in opera, or theater for that matter, costumes offer so much inspiration, so I thought I would share a few pictures and a glimpse of my weekend. Our first opera was Ariadne. The story is that a composer has written an opera that they feel is far too boring, so they decide to interject some fun. The result is a vibrant production. I especially enjoyed the bright costumes of the harlequin troupe. 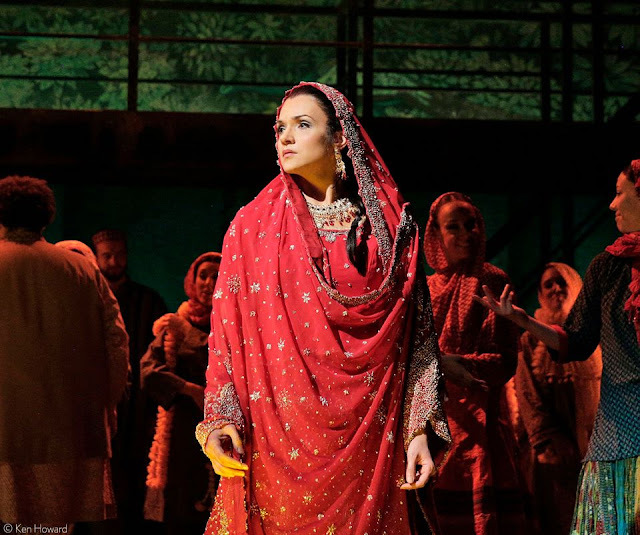 The next opera was a new production, written by Salmon Rushdie. 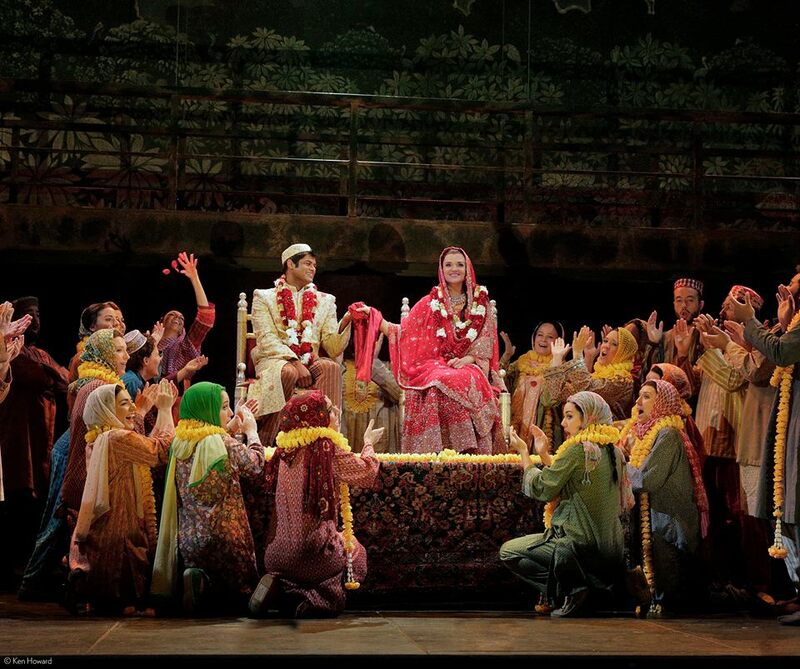 The story is about the conflict in Kashmir between the Muslims and the Hindus. The story begins with with a young Muslim man and a young Hindu woman falling in love and marrying, but with conflict from the beginning. This costume was so vibrant and beautiful. What begins as a love story, ends with revenge and murder. If you ever have the opportunity to see this opera, I highly recommend it as it was truly my favorite of the festival. 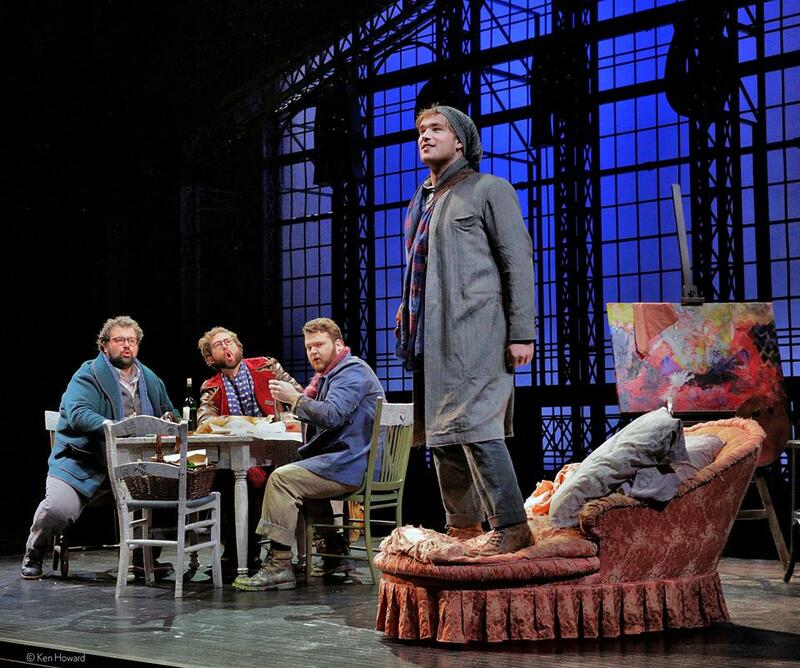 La Boheme is always a favorite. If you have never been to the opera, La Boheme makes the perfect introduction. The music is so beautiful and the story so sweet. 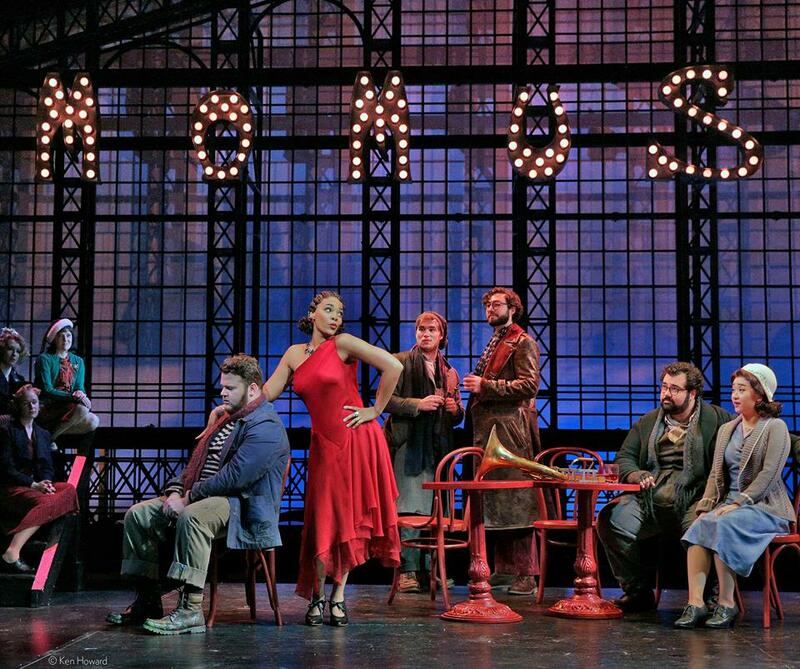 I loved the costuming, set in Paris in the 1920's. 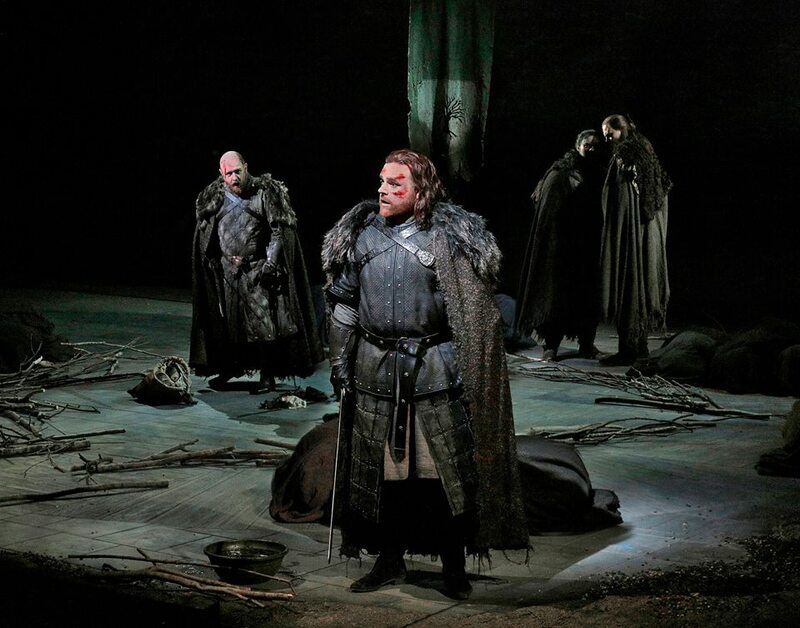 The last opera in our series was MacBeth. By far, the best production I have ever seen. What was interesting was when we came back to our room, my husband turned on the television and there was a commercial for Game of Thrones. I commented that it looked just like the production of MacBeth. As it turns out, the costumes were on loan from HBO's Game of Thrones! 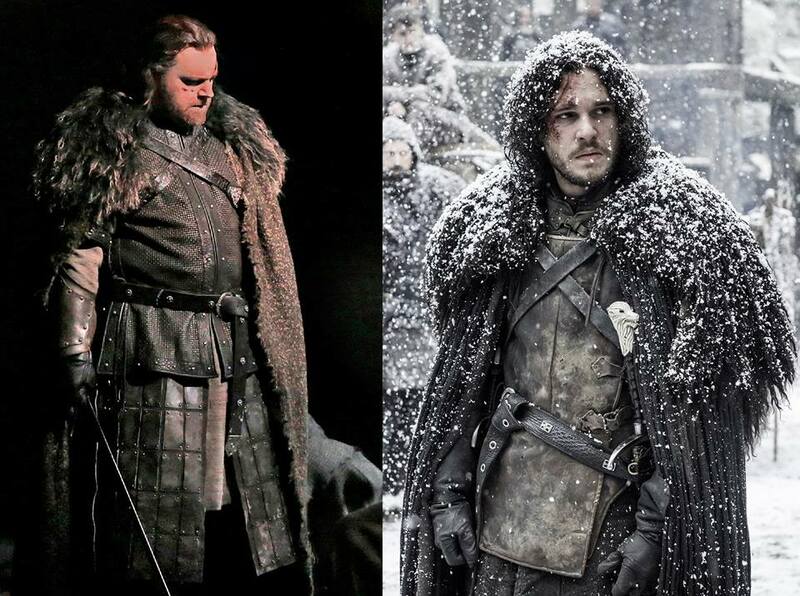 Here you see MacBeth and a picture from Game of Thrones. So much work went into these costumes. And finally, the queen. Her performance was amazing. I truly believed her to be as evil as the character. Such a wonderful weekend. I left with my mind and my soul enriched. And quite inspired as well! Even if an entire weekend of opera isn't for you, try to take in a summer theater production of something that you think you might enjoy. 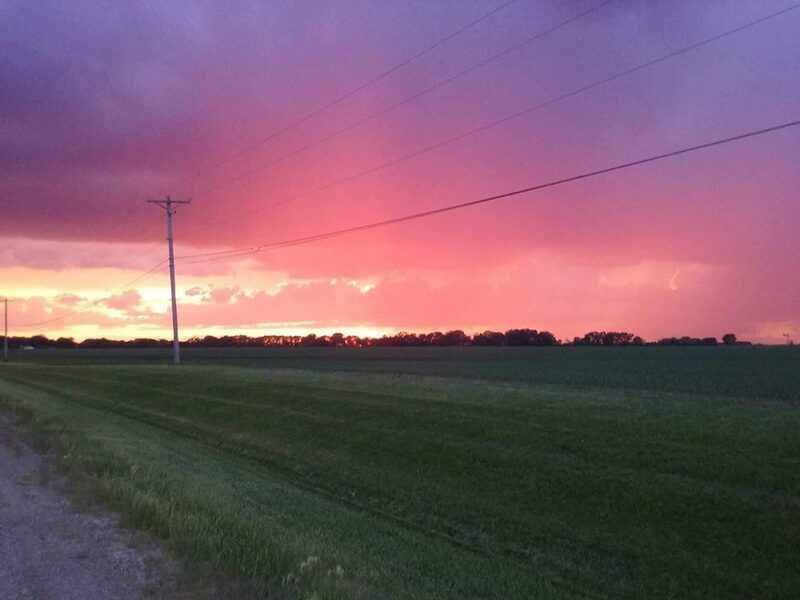 It gives you a few moments to escape and hopefully walk away inspired by all that you experienced. we worry about what others think of us. we don't care what they think of us. we discover they haven't been thinking of us at all. 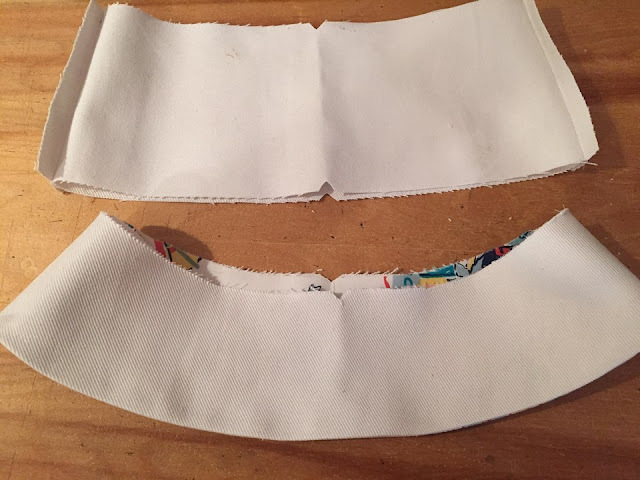 We also go over the super simple method of lining the bottom of the suit. 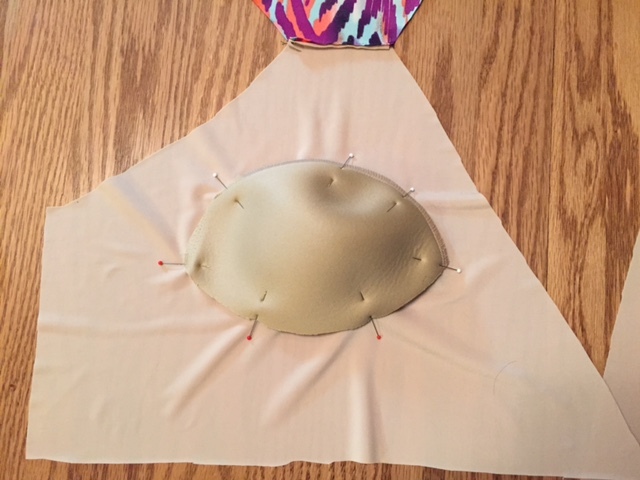 You are going to love this step as the bottoms are sewn together and lined all at the same time! 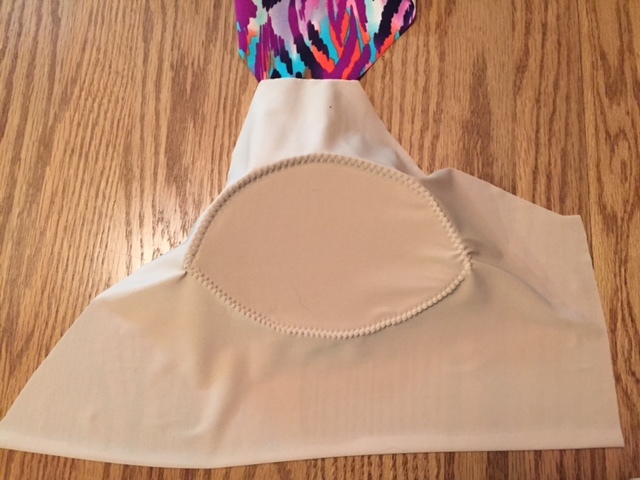 As you'll see in the post, the first trick to setting in the bra cup is to make sure that the cup does not flatten out while pinning it in to the lining. After the cup is pinned in, it's just a matter of a simple zigzag stitch around the edge of the cup. You can see the entire post HERE. The final post will be all about elastic. There's quite a bit of elastic in the Soma Swimsuit! We'll go over setting in the elastic around the leg opening and how to get that smooth look in the front and the cupping that is needed in the back. For today's Wednesday Showcase, I have two ladies who not only have a passion for sewing, but have decided to make it a business. First up is Whitney of Tom Kat Stitchery. She says that she became motivated to make custom clothing when an expensive pair of pants fell apart after wearing only a couple times. 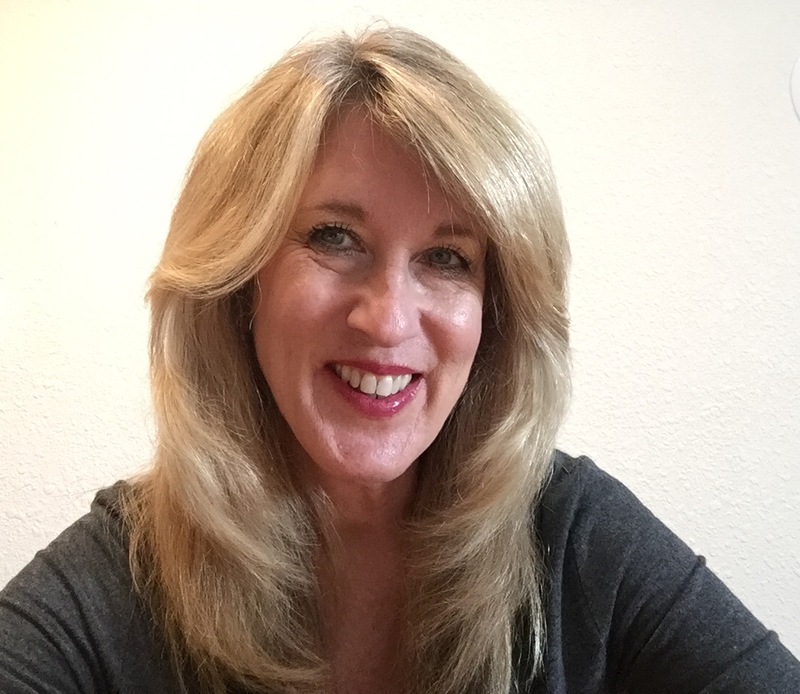 She lives in Indiana, is a member of the Association of Sewing and Design Professionals...and she loves to sew! 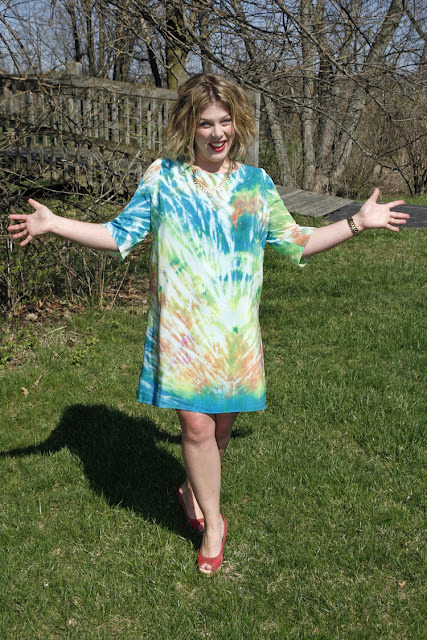 Whitney entered the 2015 ASDP Threads Challenge, "A Sheath Dress Inspired by Art." Her piece was inspired by Renoir's ballerinas. 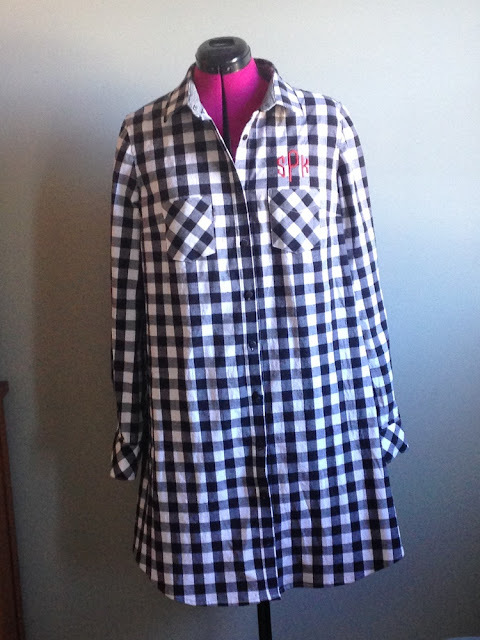 I thought this shirt dress was such a great idea. 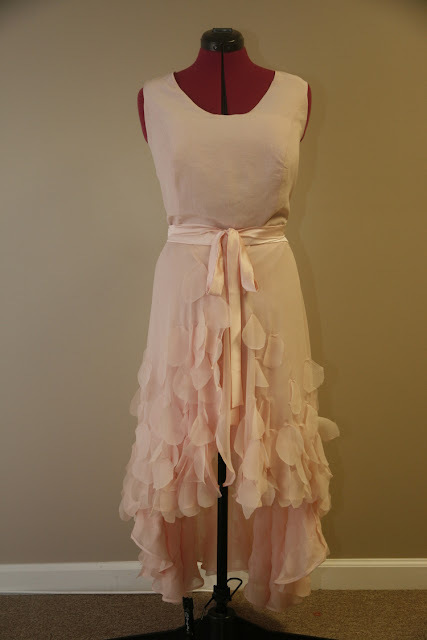 A bride commissioned the shirt dresses for her bridesmaids to have the day of the wedding while they were dressing. Each was monogrammed with their initials. What a great bridesmaid gift! Whitney took a Shibori dying class through her local ASDP chapter and made the amazing fabric you see below. You can read her article about the process HERE. 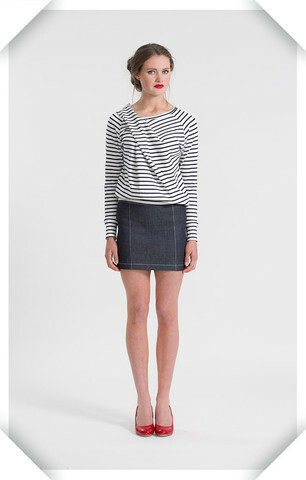 I think we all long for a beautiful basic shirt in our wardrobes. And there's nothing more versatile than a great white shirt. Whitney is so inspiring and it's wonderful to see someone truly embrace sewing as not only an art form, but a business. Next up is Renee. I met Renee a few years back when I did the fashion show for the Haute Couture Club of Chicago. 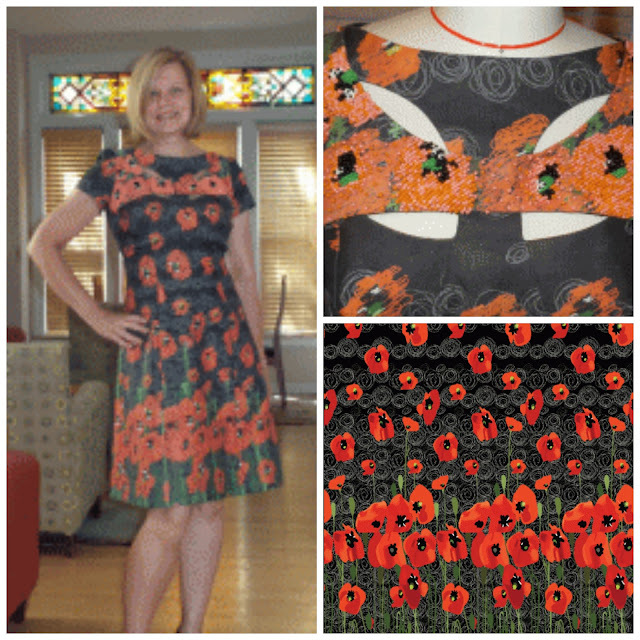 Renee LOVES to design fabric and wait until you see what she does, it's absolutely amazing! Her blog is Learning Patterns, and you can find her Spoonflower store HERE. Now for a few of her very creative pieces. Keep in mind that she designed all of the fabrics that you see. This dress features a big surprise in the back! used the fabric so artfully. She really enjoys making skirts. When you visit her Spoonflower store, you'll find that the skirts are already printed, so it's just a cut and sew situation. It doesn't get any easier than that! Love the cityscape with the birds on a wire. Such fun! 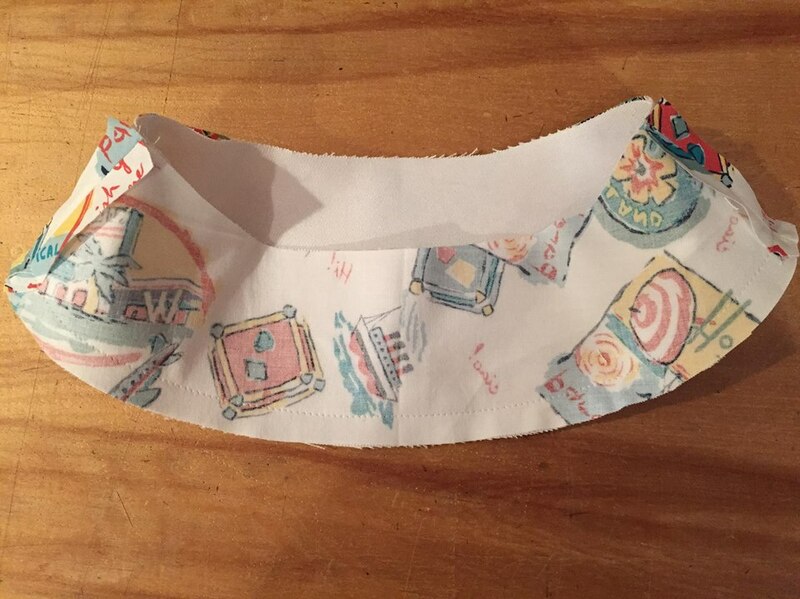 Be sure to check out Renee's blog for more inspiration and then pop over to her Spoonflower store for some fun fabrics. Once again, I'm inspired. Hope you are as well!!! This past weekend, I hosted a party at the airport for a group of friends. We had food, games and airplane rides available for any who would like to go. I flew all afternoon! Everyone seemed to truly enjoy the day. I especially enjoy having the opportunity to share a little of my life with others. This morning I awoke to see that this picture had been posted on Facebook. I didn't even know that the picture had been taken! My husband says that he is always amazed by my transformation when I get to the airport. I become quiet, and very focused. As with all pilots, my first goal is safety, for myself and my passengers. I think you can see the focus in my face. I have been planning to do a video and talk a little more about this part of my life. It will come soon, I promise. It took a lot of hard work and determination to make this a reality in my life. And along the way there were a lot of funny stories, not so funny at the time, but hilarious now! 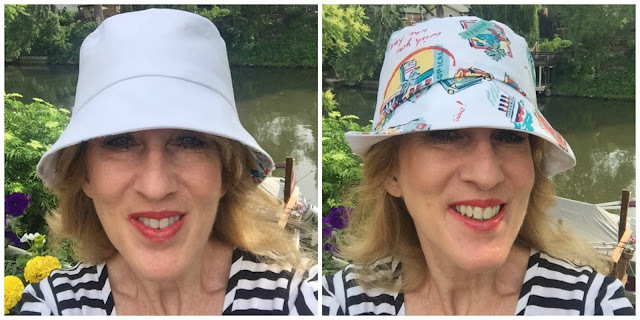 I had promised last week to do a quick tutorial on how I put together the bucket hat from Lost In Paris. 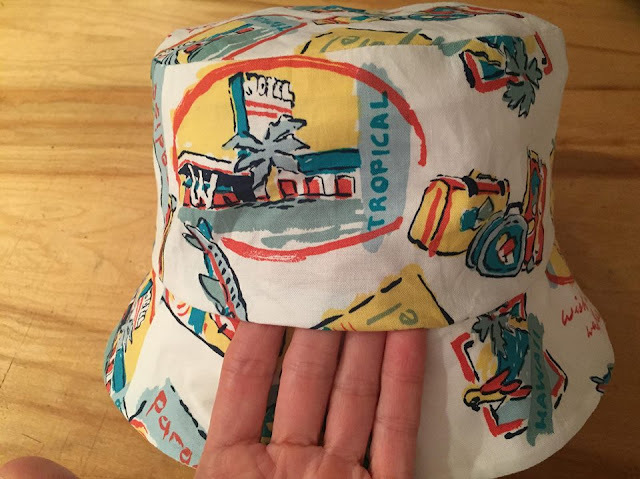 Super cute hat, great for throwing in your bag to have on hand for when you find yourself out in the sun and needing a little extra protection. As I said last week, I liked the pattern so much that I made up 2 hats. I especially like the reversible aspect of the hat. 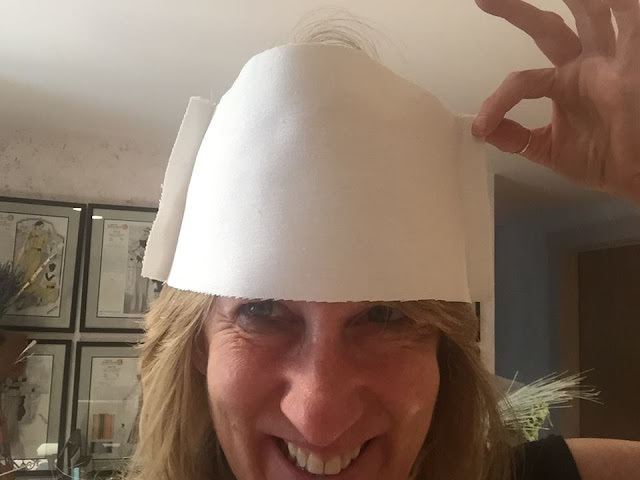 Below is my basic denim hat. Another denim hat, but this time in white with a fun travel print on the flip side. You can also play with the brim and give it a fedora look. 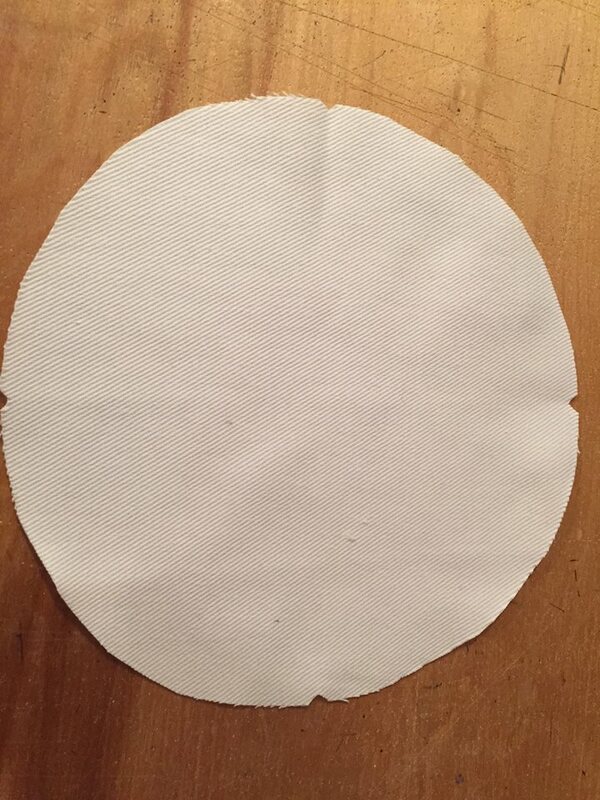 This is a one size hat pattern, so my recommendation is to cut out the side of the hat and slip it on. If it seems comfortable, you're good to go! To prepare the pattern, fold the crown in half and mark notches. 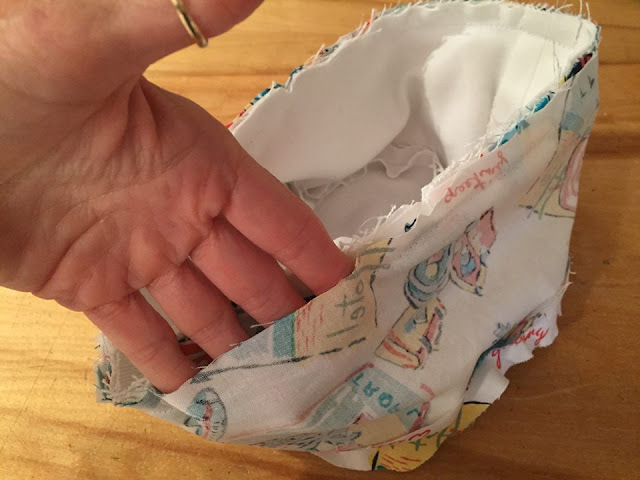 Fold it in half again and mark notches. You will have notches for center front, center back and the sides. Be sure to mark notches on the side of the hat as well as the brim. Sew the crown to the side of the hat. All seam allowances are 1/2". Once the seam has been sewn, press open. By pressing the seam open, the crown will lay much nicer. 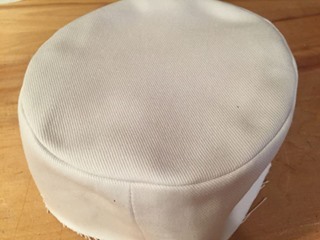 Now sew the lining of the brim to the outside fabric, but only the bottom edge. Trim the seam allowance to 1/4". Turn and press the edge. Now sew the brim to the main body of the hat. Note that the lining is not included yet. Now sew the crown to the side panels of the lining. Be sure to press the crown seam just as the did for the outer fabric. 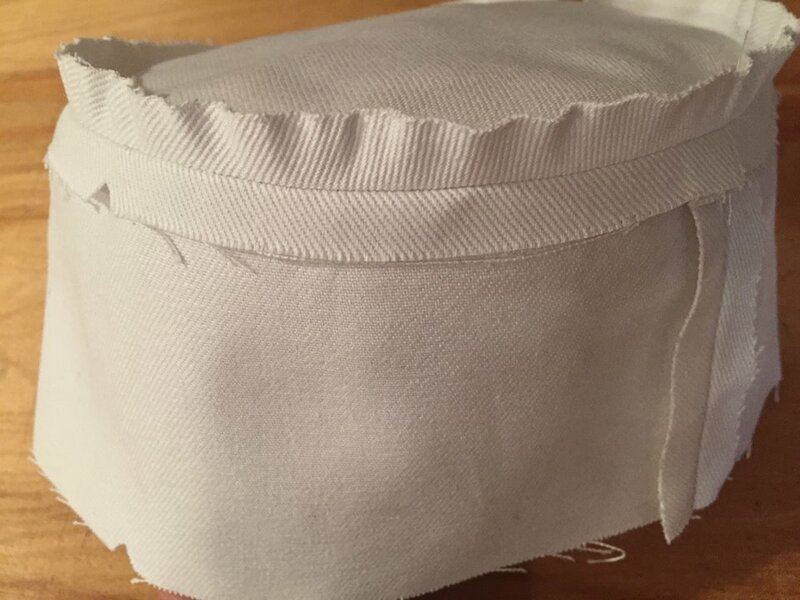 Slip the main body of the hat inside the lining of the top of the hat. Stitch around the hat leaving at least a 4" opening for turning. Turn the hat right side out and slip stitch the opening closed. The hat will be secure when turned from one side to the other. 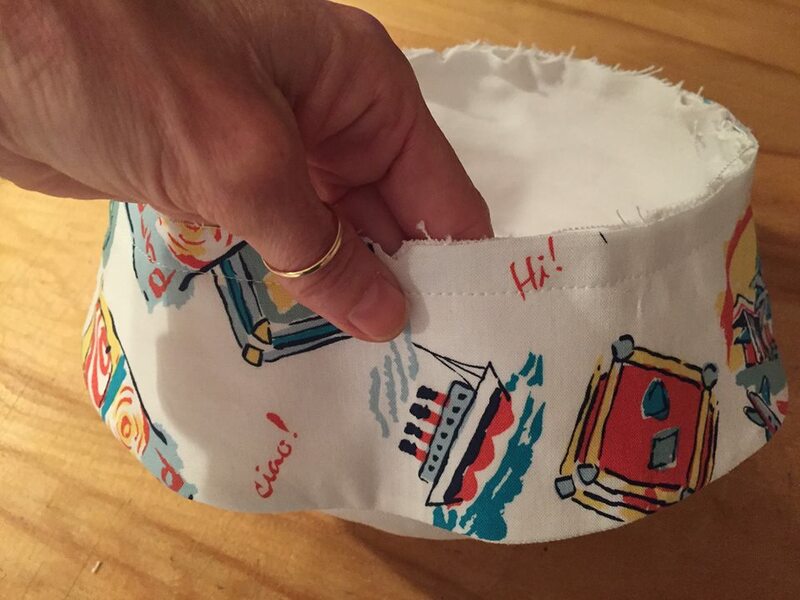 This is a great project for anyone who is learning to sew. It makes up quickly and it's a project that insures success. And we all know, a first project really does need to be successful. 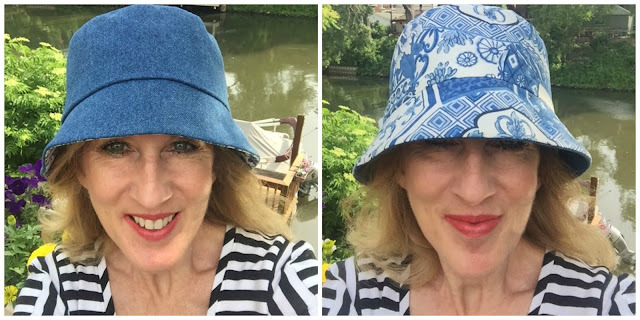 Just one last note before I go, I added a link to the Martha Stewart hat in last week's post. PLEASE DON'T WASTE YOUR TIME!!!! I once again downloaded the pattern hoping that they had corrected the mistakes. They have not. It's an awful pattern. Here's the link just so you'll know what I'm talking about. Hope you have a chance to get "Lost In Paris" and have a little fun with a bucket hat. I think you'll love having one....or two or three :) to throw on. This is how one man whose father-in-law was murdered twenty years ago embraces those three resources. Monday Morning Fun,We Have a Winner!! !